I listen to podcasts on my daily commute. 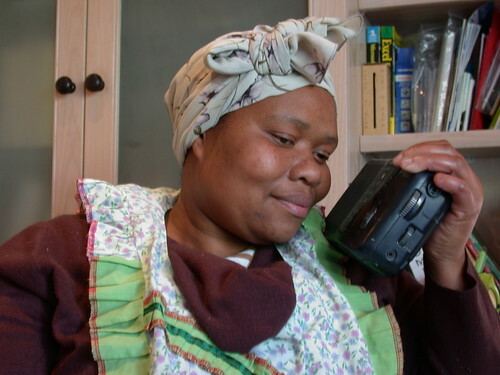 These are radio shows that can be downloaded over the internet and listened to later. However, to keep up with a weekly show, I’d have to - every week - visit the show's website and manually download the latest episode. That would get real tedious real fast. To resolve the tedium for us all, the podcast catcher app was invented. Podcast catchers allow me to list all the shows I want to listen to. Every day or so, it automatically checks each show on the list to see there are any new episodes for me. If it finds any, it downloads them and plays them for me. Currently, I use Google’s ‘Listen’ app, but that service is about to be closed down with the imminent closure of Google Reader. I need to replace it. I've downloaded a handful of alternative apps, but they all lacked a feature I find essential. I remain a little flabbergasted that any podcast app out there does it any other way. "She smoothes her hair with automatic hand and puts a record on the gramophone." My daily commute is ~45 minutes of driving each way, so for me, a good player needs an Auto-Play mode. When one show finishes, another should start playing right away. There's very few places I could safely pull-over and having to push buttons while I’m driving is right out. But not just any Auto-Play mode. Oh no. All the apps I tried had an Auto-Play mode, but they all did it so very badly. Ask yourself - When a show finishes playing and Auto-Play is switched on, which show from the list of unplayed shows should your app select to play next? A. The one that’s been waiting in the queue longest. B. The one that appears next in the list when sorted by episode title. Did you pick A or B? Sorry, they're both wrong, and yet these were the only options available on an awful lot of podcast apps. The right answer, is to play the one the user has queued up next. The "In the order I want" sort criteria. No really, who is actually asking for the order of play-back to be strictly enforced? Would anything else, perhaps, offend your sense of politeness? "You want to listen to the latest Cognitive Dissonance show? But what about this episode of Hanselminutes? It has been waiting paitiently in line and this is its turn to be played." "I say! That would be jolly impolite of me. Don't want to hurt the feelings of those audio files. Pip pip!" "I sat upon the shore, fishing with the arid plain behind me. Shall I at least set my lands in order?" With Google Listen, new episodes join the listening queue, but I can arrange them in the order I like. If I’m just not in the mood for the next episode in line, I'll select another episode that I do want to listen to and bring it to the top using the 'Move to the top of queue' button. Once I'm happy with my selection of the next hour or so’s worth of stuff at the top of the queue, I hit play and drive off. As the first show finishes, its taken off the queue and the next episode I had queued up starts playing, all without any interaction. The few alternative apps I downloaded did not offer this. It seems such a simple thing and yet I can’t imagine the insanity of not being able to control the playing order. If one, settling a pillow by her head should say, "That is not what I meant at all." Some people reading this, I'm sure, are thinking "He wants a playlist manager". To manage a playlist, you’d need to first create a playlist and give it a name. Then you’d need to add shows to the list and save it. Then once its played you’d need to delete that playlist and start a new one. No. That’s just another level of insanity. All I want is a button on each episode labelled 'Move to the top of the queue'. That's it. If I have to perform some ritual every day to create a new playlist or whatever before I can get that button, I'm not going to be happy. Life is too short for pointless ritual. Maybe if your UI is so user friendly that the ritualistic parts of your playlist manager just disappear, that’s fine but that’s not what I’ve seen out there. "Oh, I have to chose a name for this new playlist. Why not just pick a random name for me? I’m only going to delete it in an hour’s time anyway." So there is my plea. Does anyone please know of a podcast app for Android phones that implements its Auto-Play mode... correctly? I will happily pay a reasonable subscription fee for good quality software. If you’re an app developer and your podcast app does it correctly, please feel free to use this page’s comments for some free publicity. On the other hand if your app doesn’t do it right, please treat this page as a bug report. "Day 30.06 Voices on the radio!" by Frerieke on Flickr. 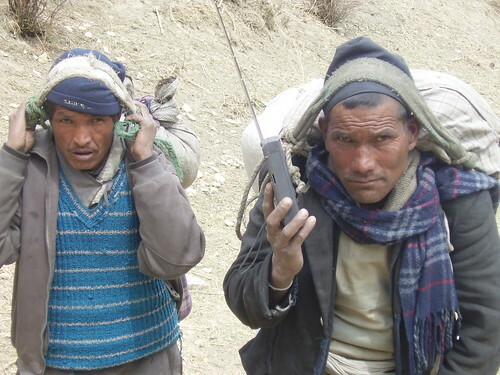 "Listening to Radio Karnali" by the BBC World Service. The section titles were borrowed from The Waste Land and The Love-Song of J. Alfred Prufrock, both by T.S. Eliot.